HJT Design Radio “Straight Talk” is the perfect radio show for Dentists looking for ANSWERS! We’ve put together insightful conversations which focus on all aspects of dental office design with best practices for renovations and new builds of your dental practice. We’ll cover the topics submitted by you, our listeners, ranging from where do I start and how can I afford this to hot topics from industry conferences. We will bring on guests that you want to hear from. Dentists who have gone thru the process, leasing experts, lenders, and real estate gurus, a wide variety of experts all sharing their knowledge on how best to improve your dental practice. 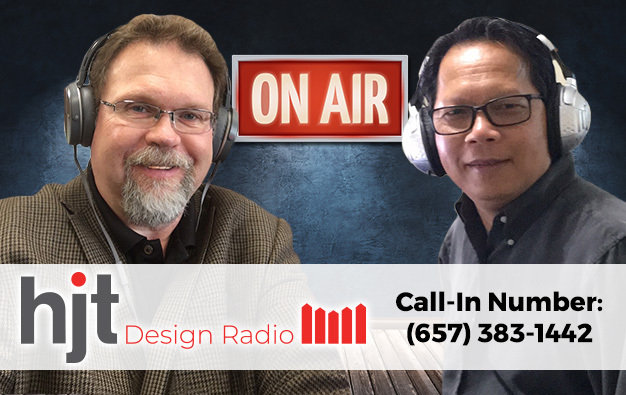 Join us every Tuesday night at 8pm est for a live on air in-depth look at key areas you need to think about for your next dental office project. Call us live and ask us anything!